RELAX AND RELEASE THE WORKDAY WITH A SOOTHING NECK MASSAGE! Thousands of micro beads provide the ultimate cushioning comfort for complete relaxation. 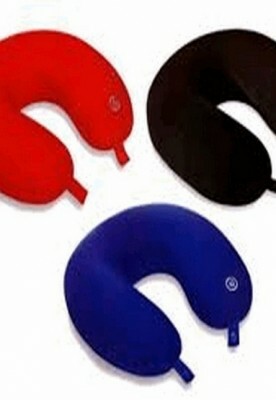 This Premier Neck Pillow/Massager is ideal for travel, home or the office and is great for use on your neck and shoulders. This neck massager targets the pain for total massage relief, and the massaging feature helps ease stiffness and tension while kneading away muscle tension, pain and fatigue. 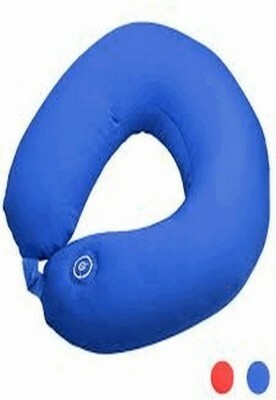 This U-shaped Neck Massage Pillow can be used to support your neck in its natural curve while you are sitting up or lying down, or as a face cradle for supine poses, massage, or yoga therapy. 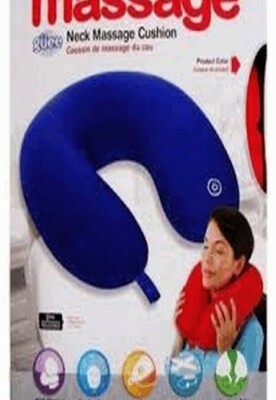 It is also excellent for restorative poses and this Neck and Shoulder Massager will effectivley massage muscles, release arteries and veins, stiffness, tiredness and paralysis and it can be used at home, at the office and even while travelling.